At HappyAir we are aware of the importance of providing patients with a safe and friendly environment that provides clinical benefits and confidence in them and the professionals who are in charge. Give support to lead their own clinical studies. Obtain support from educators as well as train their own educators within their organization or pathology. Facilitate the identification of funds to finance comprehensive care or access to medicines, development of new therapies, all in a structured environment and guided by their own clinical technical team. Achieve the critical mass of data that allows applying Artificial Intelligence (AI) techniques to determine patterns that contribute to the research and development of new therapies and solutions for these patients. 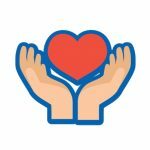 Participate in the Network in the HappyAir Smart Community.